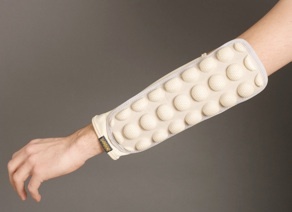 •Ambidextrouse design, suitable for right and left handed players. 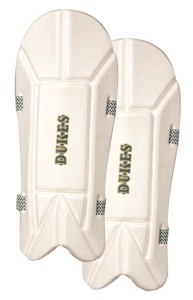 •Pre moulded high density foam protection. •Fibre board reinforcement for impact protection. 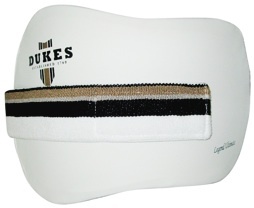 •Soft comfort foam backing with towelling liner. •Wide elasticated towelling velcro strap. 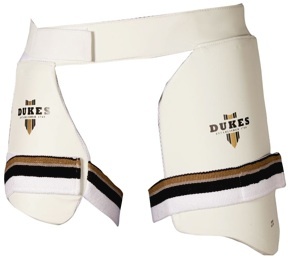 •The Dukes Duel Elite set is an all in one cricket batting thigh protection solution. 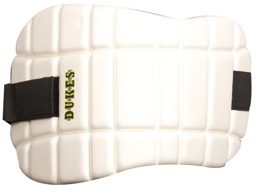 •Pre moulded high density foam protection for outer and inner thighs. •Anatomically shaped to fit legs. 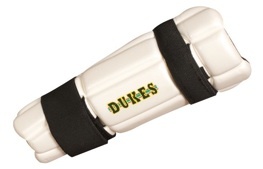 •Wide elasticated towelling velcro leg straps. •Wide comfort velcro waist strap. 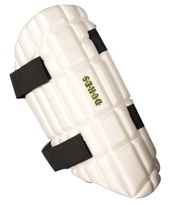 •Pre moulded high density foam protection for the outer thigh. 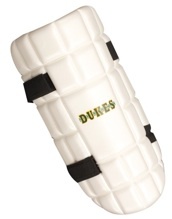 •Anatomically shaped to fit leg. •Wide elasticated towelling velcro waist and leg straps.